Everything wears out, and your silver fillings are no exception. They have to endure an incredible amount of biting force each day, and as they age, their appearance and function degrade. Over time, amalgam fillings often absorb moisture, causing them to swell and break away from the tooth. When this happens, your tooth is no longer sealed and protected from decay. Food and bacteria can become trapped in this space, enabling cavities to form. What material will be best for restoring a worn silver filling? When we recommend a restoration to replace your worn silver filling, we’ll consider both the size of the filling and the amount of healthy tooth structure that remains. We can replace a fairly small filling with another silver filling, but you should know that eventually, it will probably wear out and have to be replaced again. Silver fillings have some disadvantages that should be considered when it’s time to replace your filling. • Silver fillings are less attractive than tooth-colored fillings. • Amalgam expands and contracts in response to temperature changes in your mouth. This can eventually cause the filling to fracture your tooth, so a crown might be required to restore its appearance and functionality. 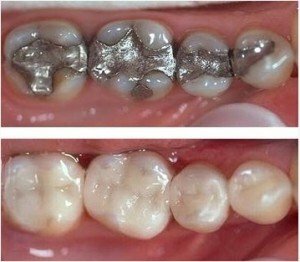 • Silver fillings are vulnerable to metal fatigue and will likely corrode and leak as they age, which can cause new decay to develop underneath the filling. The leakage can also give a gray appearance to the entire tooth. tooth and restore its function, preventing more serious problems from arising in the future. 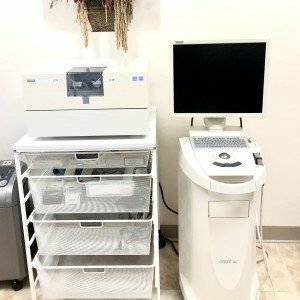 At Softdental, for the past 20 years, we use the CEREC technology to fabricate inlays, onlays, veneers, and crowns.